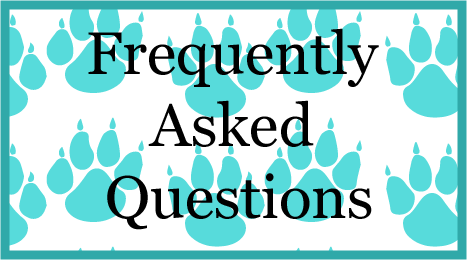 Many people have questions, especially if they haven't volunteered at our school before. Here are some answers to commonly asked questions. Please don't hesitate to ask if your questions aren't answered here!! What types of positions are available as a volunteer? Leadership / Executive Board - become an integral part of the running of the PTA by running for one of the elected positions (for example, President or Treasurer) or appointed positions (Membership or Legislative). Hours depend on the position, but they are positions for the school year (generally July - June). All leadership positions do have a training requirement to ensure volunteers are knowledgable about their roles and how PTA runs. Program Chair - take on a role where you are managing and working to ensure a successful program (for example, Art Docent OR Partnerships program). Hours required will depend on the position, but these do tend to be school year commitments (generally July - June). Event Chair - take on an event (or events), coordinating the timing, content, communication and volunteer recruiting to ensure a successful event (for example, a Family Fun Night OR Skate Nights). The hours required for these greatly depends on the type of event and how many events are handled. Volunteer to help at an event or with a program - use the signup sheet or contact the chairperson to volunteer to help!! You can help with a single event like Science Night. Or you can sign up to join the Library Brigade, helping in the library once a week. You can also offer to help the chairperson with organization - if you want to learn about it but aren't quite ready to take on a chair position! Check out our Volunteer Dashboard on the homepage! School volunteers - and of course, the school is always looking for volunteers - talk to your student's teacher, or the front office about helping out at school (on the playground, etc). Do I need to take on a Chair position on my own? Absolutely NOT! Any chair position can be shared! Find a friend and serve together as co-chairs OR let us know you would like to partner with someone but you want helping finding someone! You can have a TEAM of Chairs, if that will work best for you! Many hands make for lighter work. Are there any procedures I need to follow before I can volunteer? Yes, if you plan to volunteer in the classroom, you will need to complete and submit all required Northshore School District Volunteer forms including Volunteer Application, Volunteer Disclosure, and Washington State Request for Criminal History Information form. Find the forms here: http://www.nsd.org/domain/228 or pick up a packet at the Canyon Creek office. The volunteer approval is good for 2 years, after which time you will need to apply again to be able to continue volunteering at the school. You also need to submit forms for each school in which you intend to volunteer. Also, certain programs do have additional training required prior to participating - for example Watch D.O.G.S. program has a training session. Will volunteering in the PTA be a BIG time commitment? It can be as little or as much time as you can manage. We can help you find something that will fit your time limitations! Is there a way to be notified of Volunteer Opportunities? We have a Volunteer Opportunities "Reminder" group that is used to communicate volunteer needs to those who have voiced an interest in helping out with PTA and/or school events / programs. Sign up today and get a text if there is a need. Absolutely! We do not pressure anyone into volunteering and that is a promise! You can volunteer as much or as little as you desire. We value your time! We are thankful for your 5 minutes or your 50 minutes. We may ask you to volunteer for another event, but it's perfectly okay to say “No”. If everyone does a little, it goes a long way. Absolutely! You can volunteer for as many committees as you are comfortable with. Are there parents that are willing to share baby sitters or swap watching the younger siblings so that I can volunteer? PTA General meetings have free childcare (for kids 5 and older). If you are interested in sharing childcare with other parents, please let us know and we can put feelers out to see if we can find others interested. I do not speak English very well and am not comfortable having to interact with a lot of people. Are there still tasks that I can do? Let us know what you are comfortable with - and we will work with you to ensure you find something that will work! What if I sign up and then something happens so I can’t do the job? Just let your chair person know (or PTA President) and we will ensure you get help. Let everyone know quickly. Don't leave it until the last minute. Can I get help with an event, if I need it? We have many volunteers that can step in and add additional support. Please ask!! Still have questions? Please contact our PTA President.